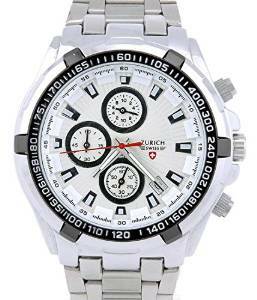 Chronograph watches are very suitable for men who love sports. 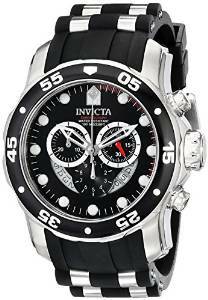 A chronograph watch is a multi-function type of watch with a stopwatch function. They are suitable for any type of sport. 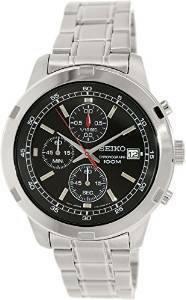 We can say, without being wrong that the chronograph watch is a tool that helps its owner to keep an eye on his sport performances better. 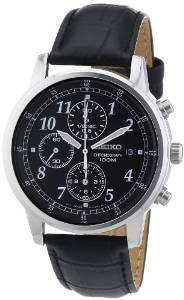 This type of watch ranges from the simple strap watches to watches with multiple useful functions. Would you believe that this type of watch was actually invented during the reign of King Luis the XVIIIth of France? He wanted to measure exactly the time that it took for horses to run a certain distance. Therefore he asked a watchmaker to create an item that could do such thing. Obviously, this type of watch has evolved greatly in time until it reached the form we know today. For sure this type of watch will never go out of style. Along with the fact that it looks very cool, it is also very useful. As long as the mankind will have something to measure, it will have its place into the people’s preferences. They are, we could say, iconic timepieces (love this expression), chic, useful and they have plenty of interesting features.